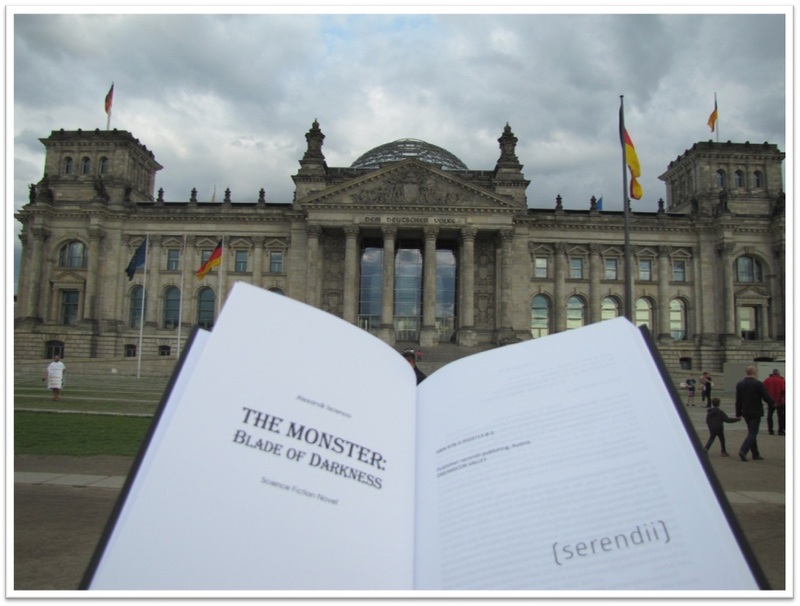 My novel “The Monster: Blade of Darkness” continues to penetrate into different corners of the world. It is now being sold in Australia, China, Denmark, Estonia, France, Germany, India, Italy, Japan, Lithuania, Norway, Romania, South Africa, Sweden, the UK, the US, and other countries. With such a large international distribution I have started receiving requests on having the book available in other languages besides Russian (original) and English. Most of the people, who request that, ask for the novel in Romanian, but there are also questions about German, French, Polish, etc. coming in. So, I suppose, it is time to start making such thing happen… in a traditional for my novel way. In designing and publishing the book “The Monster: Blade of Darkness” I had been using crowdsourced support practically right from the start. The Russian text of the novel was reviewed by my former teacher in Russian language and literature Violina Mihalevskaia; it was then translated into English by my friend from Sweden Erika Rydergard and reviewed by my US friend from Peace Corps Barbara Jue; illustrations for both versions of the book were provided by my Ukrainian and Estonian friends Catherine Starostenko and Kärt Viljalo; and the English book was published and is now distributed by the founder of serendii publishing Wolfgang Stricker. Names of all these wonderful people can now be seen in the book and its official website. Thus, I have decided once again to call upon the support of amazing people to contribute to making the novel “The Monster: Blade of Darkness” even more accessible to the world. So, if you know any other language besides Russian and/or English, and would like to contribute to the translation of the book into this language, I will be more than happy to collaborate with you. 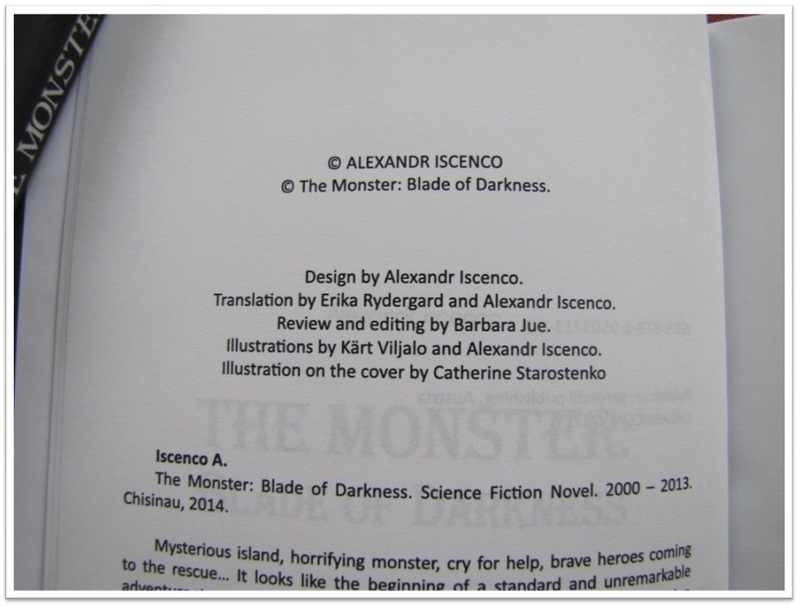 As a result of your efforts you will see how the book “The Monster: Blade of Darkness” translated by you and with your name in it goes global, how your friends and people around you read it with enthusiasm, and how they appreciate your work. Certainly we can agree upon your share in the revenue generated by the books sold. Just write me by using the Contact section of this website for us to start the discussion. This entry was tagged Blade of Darkness, Monster, novel, supporters, The Monster, translations. Bookmark the permalink.